An amazing All-in-one Nutritional product with Micronutrient formula for general health and Micronutrient formula for eye health. The two couple - one to protect and one to deliver! Dr. Ambati graduated college at the age of 13, began medical school at 14 and became the youngest doctor in history at the age of 17. With his incredible story, his remarkable career and his many prestigious awards, we are fortunate to have him as the newest member of the ForeverGreen Scientific Advisory Board. 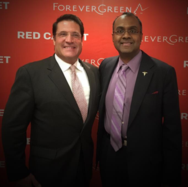 Esteemed ForeverGreen family member Dr. Adam Saucedo is friends and colleagues with Dr. Ambati and they have collaborated to bring this technology to market exclusively to ForeverGreen! The story of the prodigy doctor combined with five unique attributes create an all-in-one nutritional product, for everyone, every day. Enjoy the technology and know-how, phytoplankton, antioxidant, vitamins and energy you can feel in minutes in the groundbreaking new ForeverGreen Xpress model product, Prodigy-5. Forevergreen Prodigy-5 all-in-one nutritional supplement with bio-enhancing TransArmor Absorption Enhanced Technology of of micro-nutrients, anti-oxidants, phytoplankton and more. Please consult your health care provider prior to making any dietary, nutritional, or exercise lifestyle changes. TramsArmor technology to deliver the nutrients safely to your stomach and delivery into the blood stream. We are so blessed to have the credibility and brilliant Drs. Ambati and Saucedo. Powerful technology. 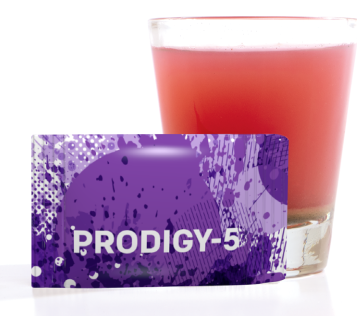 Prodigy-5 is an all-in-one nutritional shot for everyone, everywhere, every day! It is the perfect daily nutrition habit that provides vitamins, minerals, antioxidants and energy, all-in-one, helping you to stay healthy, nourished, and energized. The Prodigy-5 formula contains specific nutrients based on 40 years of peer reviewed science. What makes Prodigy-5 even more special is the new, patent-pending, doctor-invented “TransArmor Nutrient Technology”, which prepares the body to better absorb and utilize the nutrients in Prodigy-5. and foods when taken along with Prodigy-5!